On Pinterest, vintage photos are prime pinning fodder, loved for their hazy hues, grainy loveliness and old school glamour. 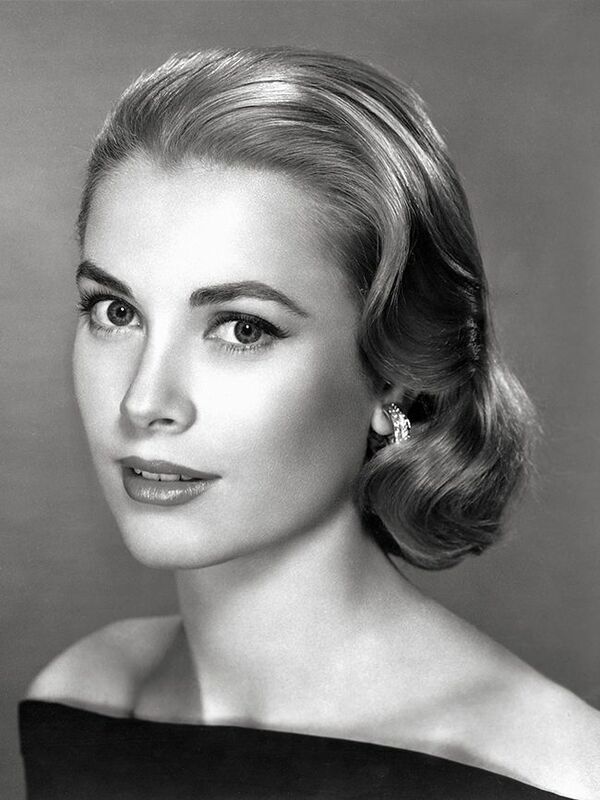 And no subject is more gorgeous than ’40s Hollywood film star-turned-princess, Grace Kelly. Often called the most beautiful woman in the world, you can see why photos of her are constantly trending on the photo-sharing site, be that film stills from her many iconic movies, behind-the-scenes candids, fashion shoots or beauty portraits. Click through the gallery for her most-pinned pics. In perhaps one of the most famous Grace Kelly portraits, we can just about see a hint of her black off-shoulder dress and diamond earrings. Hollywood glamour at its finest. The actress looks pretty as a picture in a cashmere cream cardigan with those signature curls. The actress posed for a French magazine in 1950, where she was voted the most beautiful woman in the world. Grace Kelly demonstrates exactly how we wish we looked in our Breton. Is it just us, or could she be wearing Balenciaga here? In a film still from 1955's To Catch a Thief, the siren wears a strapless white gown. Here's another shot of the chiffon dress, which she wears with diamonds round her neck. Grace stands beside co-star Willam Holden as she picks up her Best Actress gong at the 27th annual Academy Awards for her role in The Country Girl. We love this shot of Grace Kelly kicking back on the set of Alfred Hitchcock's Rear Window wearing a masculine-cut shirt, black trousers and espadrilles. She gets extra points for that sassy handkerchief hanging out of her pocket. Behind the scenes of a film, Grace Kelly poses by the swimming pool in a striped shirt. There's our next poolside look sorted. A film still from High Noon, produced by Stanley Kramer, in which she plays a small-town newlywed. In a fashion shoot for a magazine, the actress epitomises the '50s in a black halterneck and a wide-brimmed hat. Wearing a white summer dress, she's behind the camera for once on the set of one of her movies. We think breathtaking might be the word for this Grace Kelly portrait, in which she wears a risqué-for-the-time sheer dress. In another (digitally colourised) portrait taken in 1954, the actress foreshadows her upcoming royal role wearing a princess gown with a sweetheart neckline. The beauty smouldered for (yet another) portrait in a white lace gown. Grace Kelly wears a crinkle-effect hooded jacket and diamond earrings to pose for a portrait in 1954. Grace wraps up in a dressing gown between takes. The princess in waiting gives a smirk while posing for a portrait. Stun-ning. In a film still, Grace Kelly looked incredible in a high-necked white gown. We'd be pulling that face if we looked like you, Grace Kelly.